This is a replacement Tactical Oversized Knob and Bolt Handle Kit for Tikka T3/T3x Rifles which is super-strong and light weight. 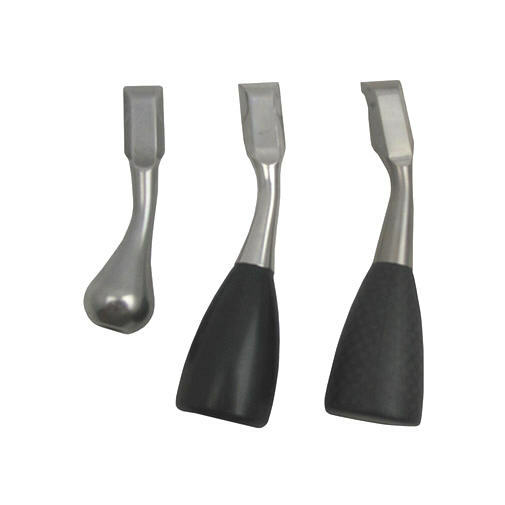 The handles are manufactured from grade 5 aerospace titanium alloy, and the knobs are made from 7075-T76 Aircraft Aluminum. You will not get a stronger, lighter and tougher bolt handle kit anywhere! Whether you are building the ultimate hunting rifle, need to shave a precious few grams of the competition rifle, or like us, simply want to use the best gear available, these are the ultimate Tikka replacement. The handle and tactical knob combined weighs 46 grams or 1.6 OZ. Compare this to other aftermarket products at 60+ grams to 70+ grams. 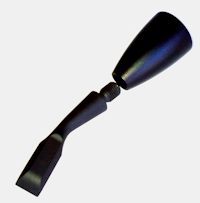 Each handle is polished one-by-one to ensure tooling marks, swirls, or post-machining blemishes are fully removed. The All Black Tactical Bolt Handle upgrade is Cerakoated. The handle is then test fitted to a specially made dovetail gage. The dovetail is designed for a tight, zero tolerance fit into the mating slot of the Tikka T3s bolt body to ensure a secure and positive lock. Weight: 16 grams or .56 OZ!